The memes have been just superb, the 90s anthem 'It's Coming Home' has been embraced once again by a nation on the edge of their seat - Friends and Planet of the Apes have to be my personal faves. ...for a few days this week a hashtag dedicated to celebrating the 47-year-old’s general loveliness was a top trend on Twitter despite a slew of major news stories. 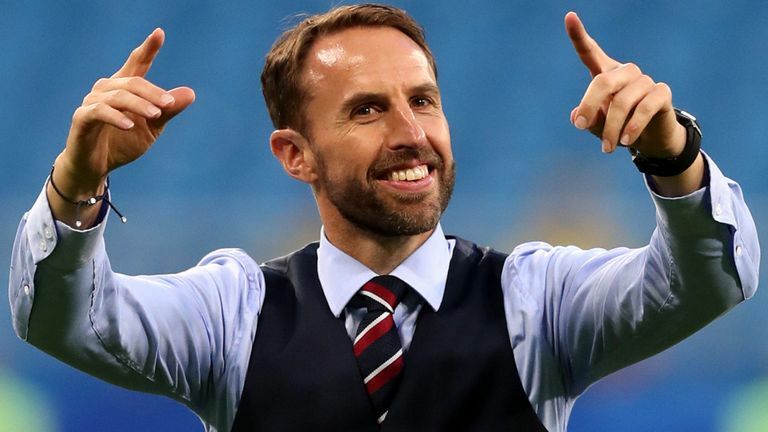 #GarethSouthgateWould gave fans the chance to pay homage to Southgate and thousands jumped at the chance. Inspired by alternative commentaries on the internet we’ve decided to bring you the #ENGCOL game through the medium of theatre and gifs. This is going to be….interesting. Follow #GlobeFootball. We loved @The_Globe's commentary of England's #WorldCup game against Colombia on Tuesday.